Obsessed with Scrapbooking: Christmas Card Ideas - Week 6 Magic Monday and Giveaway! Christmas Card Ideas - Week 6 Magic Monday and Giveaway! It's a Hello Kitty Christmas this week for Christmas Card Ideas week 6! But first, let me announce last week's winner and this week's giveaway! This font cartridge is one of my favorites - I love that it is shadowed and a little funky. It comes with some image art also, which is very fun! Winner will be announced next Monday, October 24, 2011 and winners have two weeks to claim their prizes! Now, onto our winner of the Trim the Tree cartridge: DORIS P.
Doris P, please email with your name, address and what you won to joyster110@gmail.com. You have until 10/31/11 to claim your prize! I cut this card at 5", using the Card Feature Key and then cut the base and all the layers except shadow at 5". They laid on top of the card perfectly! I used glitter paper from DCWV. I would love to learn more about all the additional modes and settings like Mix n Match, Center Point, etc. Welding! Oh geez. It is my downfall. Love your hello kitty card this is a great cartridge! I would like to learn how to use the center point feature since I still haven't figured it out LOL :) ! My main concerns aren't about the Cricut itself, but ways in which my daughter and I could craft together using the Cricut. She's always wanting to make something, and so far, all I've given her are letters and one-layer accents like hearts and stars. Surely there are other kid-friendly projects that she could do too? Thanks for any advice - your projects never disappoint! Very colorful Hello Kitty design. I would love more tips on sizing cuts, shadows etc using the Imagine. Cupcake wrappers cart sizing also. Following on gfc. Your Hello Kitty card is so adorable! I would love to learn how to cut other materials on my cricut. I tried felt and I just don't think I was using the right kind? Love your projects and tips! I like to learn more about working with vinyl and thanks for the chance to win. Your Hello Kitty card is adorable! I just purchased and E2, and I would love to learn more about how to use it. Love the Hello Kitty elf card. I would love to learn more about using the centerpoint feature. Looking for any and all hints and tips for the Gypsy too. I agree with Barbara - tips on the Gypsy would be good. I have found it to be cumbersome and not very friendly. The only thing i use it for is to check out cuts and how they layout for cutting. Is there anyway to be more efficient when cutting? The Cricut seems to give generous margins for some reason! That is the main reason i invested in a Gypsy, but it just doesn't seem worth the time and effort! for some reason i just cant seem to figure out how to set the paper size. i've looked it up before, but it just didnt make a whole lot of sense. could you try explaining it to me?? p.s. this cartridge is suuuper cute!! All tips are always welcome the cricut is a constant learning with new tricks and new projects. Love your blog!! Have a happy crafty day!! Your card is adorable. I just got my E2 so anything you could teach with that would be great. I also have never used center point on my machines. I would like to learn. I have been wanting this cartridge for a while now...would love to win it!! :) I'd like to learn more about using fabric and vinyl with the Cricut. I would like to learn how to cut vinyl. Love the card. I would love to learn more about sizing and settings. Thank you. I would like to learn more about the different keys, such as the center point and the mix and match key. Thanks for asking. I have only had my cricut personal cutter since April and I fell in love so fast that I bought the Expression2 when debuted on HSN. I definitely would love to learn about the cricut. I feel like I do not have the time to really get in depth and I need a pro to show me what is important. Thanks for the chance to win the cartridge. too cute! I'd like more information on what pressure/speed you should use for things--like-what to do with intricate cuts, for instance! Thanks! That is a nice feature, it would be nice for all carts to have. trying to figure out the fit to page and fit to length settings. I'd love to learn how to use all the keys in the center of the cricut! Love you hello kitty card! I would really like to learn everything about the E2. I only use it with my Gypsy so I don't know any of the features. I haven't even used the cartridges that are loaded on the E2, just waiting for the cartridges to be available on the Gypsy. I need help! I would like to know what mix and match and fit to length are for! I've always wondered why there are numbers on the blade cartridge itself, and how I'm supposed to know what to set it on. I can't find any info on that part. Such a cute Hello Kitty card! I just got a E2 and am just figuring it out and getting used to it....so any fun tips on getting the best use out of it .... I would love more tips! Plus, I need "encouragement" on using vinyl...but YOU are the PRO on that one, so tips for that would be helpful! I have SO wanted Cherry Limeaide! Thanks for the chance to win! Suggestions on making the new mats sticky? Gypsy stuff is good too! Great cartridge, and great card! I only have the Cricut Create, aside from the larger mat size are there any other advantages to upgrading? I would like to see if fabric really cuts neatly! I can't think of any tips I'd like right now but I'm sure whatever you do show will be great. Your card is adorable! I love HK! I would like to learn about shor cuts using design Studio and gypsy. Awesome giveaway! I'm just moving from the baby bug to the expression (arrived tonite, havent even turned it on yet). I really want to learn the differences so that I can take full advantage of my new purchase. I would like to learn how to make sure to use the right sizes, for all the things you make. How deep to cut your paper. and how to get letters in a frame. a lot huh :) but i wish that i can make such nice cards and layouts as you do. I enjoy learning something new everyday even more so when I think I know a lot. I have an I and I feel afraid of it. Some tips for it would be great. I love your Hello Kitty card...wow you keep finding all these neat things Joy...now you've got me perusing my cartridges so thanks so much....you are such an inspiration! I'm fairly new to cricut so any tricks would be appreciated. I love the Hello Kitty card it is so cute. I would love to learn more about cutting vinyl and fabric! I would love to make my daughter some cute applique t-shirts, but I'm nervous to cut fabric! I always seem to learn something new on my Cricut so anything would be great. Also going back to basics sometimes is nice because sometimes a simple helpful feature is looked past here and there. Keep up thegood work. 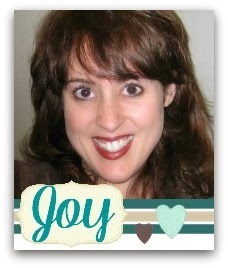 Joy, what a cute card! It sounds terrible, but I have so many carts now that I sometimes forget what I have (like the HK cartridge)! Here's an idea I had.....what about a list of seasonal cuts from all the cartridges? I know that there are resources out there if you wanted to search for, say, a stocking, but what if there was a spreadsheet with all the different Christmas items - cards included. It would be great to have a little picture of it, too. Yeah, a lot of work, I know! Maybe it could be a collaborative project? Thanks for the chance to win Cherry Limeade! I would love to learn about all the "other" buttons, like the real cut size and the multi cut. I love the cart-had my eye on it for awhile now. I would love to learn more about using the Gypsy with my cricut. It's in the mail as we speak and I cannot wait! More information about how-to cut and apply vinyl: what vinyl is best, tips on how to cut it best and then how to apply it to different surfaces. Would love to win this cartridge! Thanks for the chance. I'm fairly new to cricut and don't really know how to do the layering. I have the cricut Imagine and would love to know more of it's uses, I see these wonderful designs on different blogs but not really sure how to get the same effects. This cart would be perfect for the Banner i would like to make for my granddaughter. I need to learn how to use more of the feature buttons. I also want to try cutting vinyl. Your tips are very helpful, so thank you for all your posts! I'd like to learn to use the E2 more easily. I was faster on the old one, but think I'd enjoy the E2 more with more practice. I've had my Cricut two years at Christmas and am just learning how to use it, so there's lots I need to learn. I think my biggest hang-up is figuring out what all I can do with each cartridge. I know different buttons do different things but it isn't always obvious. This cartridges looks really cool and would be great to have. Thanks for all your tips! I would just like to learn more about the extra things I can do with my bug. I am still getting used to my Gypsy. So I'd like to learn how to use the Gypsy with the Cricut, especially welding and hiding parts of an image! Thanks for a chance to win! I am a subscriber! I have a cricut, but still find it a little intimidating, so for me the basics, how to get started with it! Love the card!! It is adorable! I would enjoy re-learning anything about the multi functions of the Cricut and how to put space between images on the Imagine bc I would like to use different papers like I do on the Cricut mats. Also, the cheapest place to get a new I mat. Love the Hello Kitty card, I could see that as an invitation also. Love my Cricut, but I know there are things I do not know about. I learn alot from some fellow scrapbookers this past weekend, but I am sure there are things you can teach us, looking forward to the lessons. I love my Cricut, but use it mostly for basic cuts. I would like a review of the special functions, center point, multi-cut, fit to page, etc. to get the most possible use from my machine. I'm still having trouble with CenterPoint...would love to learn more! Very cute card BTW! You always have such cute cards! TYFS! Love your Hello Kitty, just soooo cute. I have never been able to master the end caps. I don't know if I have anything specific about the cricut itself but does the Gypsy count? I would love to see some more detailed instructions on welding. Not just a welded word but on making a box or something that has more shapes involved and welded on more than just one side. The Cherry Limeade cartridge in on my wishlist, would love to win it! Super cute hello kitty! I have admired the cherry limeaide cart for quite sometime. I love the font. Great cartridge! I love the font. I would love to learn how to weld. First of all, love the Hello Kitty. She is adorable. Second, I love all your ideas and tips. I have the Expression and am always on the lookout for new tips. If I ever get the E2, I am sure I will need lots of help. Finally, thanks for the chance to win the Cherry Limeade cartridge. I would love to have it for my cartridge collection. Love Hello Kitty! I would love to view a video about center point. I'm so afraid to use it and mess up! Thanks for the chance to win Cherry Limeade...love that cart!! I love the papers you used! They really make this card pop! I would love to learn what the mix and match feature is all about. I have rtied to watch a video on it before but I think I was more confused afterwards lol. I love the new cricut craft room. It gives you more freedom to play with the positioning of all sorts of items. Love getting your emails it gives me so many ideas plus reminds me to pull out the cartridge that I haven't used in a while. Thanks for sharing all your wonderful ideas. I would love to learn more about center point and some of the featured keys. I really love the font on cherry limeade. Thanks for the opportunity to win. I would like to learn how to use the centering feature on the expression and also mix and match. I don't know how to do these 2 features. Thanks for the chance to win this adorable cart. 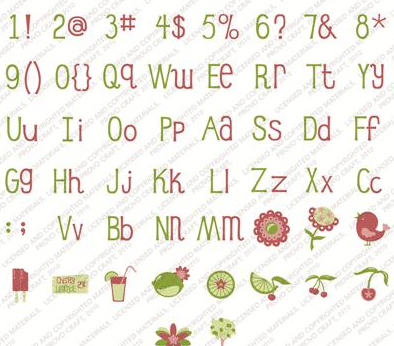 Just got the Cricut Expressions 2 and still feel like I do not have the grasp on how to use it...cut multiple images, sizing, centering, layer etc...any guidance on it would be great. Love the Hello Kitty card...may have to do something like this for my daughter Art teacher who is OBSESSED with Hello Kitty. Love the hello kitty card! One of the things about the Cricut that I would love to learn - in cutting out the layers for an image - I have a bunch of cartridges that I find myself staying away from because they have more then 2 layers. HELP! That is a really cute Hello Kitty Elf!! For me I'd like to learn how to layer: like you did on this card. How do you get all the separte pieces? Love the card I have 4 nieces who would love this card!! Will definately have to make them one. I love how you display with your flower frogs, my mom is and avid flower frog collected both wire and glass.....many... I will have to tell her to use some to display her cards!!! Hope I win! Good Luck to all! Love the Hello Kitty Card, it's sooo cute! I have the Baby Bug, the Expression, the Imagine and the Gypsy: Could use tips on all of them. Really need help with the Imagine and layering. Thank you for sharing your knowledge with all of us, it is greatly appreciated! Cute Hello Kitty! Great job as always! I would love to learn more about different fabrics, some vinyl tips and E2 tips. Thanks for a chance to win this awesome cart! This is adorable. Thanks for sharing. Aside from cards, my favorite thing to make is mini albums. I could use tips on cutting chipboard on my Circut. Sometimes when I multi-cut, the edges get all jagged and if my mat isn't super sticky, the chipboard pops loose and my cut is ruined. I have been unemployed for 13 months now and have no budget for paper crafting supplies so I can't afford to waste anything. Help with this problem would be greatly appreciated as I want to make some minis for Christmas gifts this year. Thanks! Joy I would LOVE to learn how to use the center point feature. I would like to cut my pictures, but am afraid to because I don't want to cut it wrong and ruin my picture. Love your site and thanks for all that you do!! I would like to see more tips on different settings for different papers. i would love to learn how to use all the different features. I'm a cricut novice. I've only used it to cut out basic shapes etc. I guess i just need a cricut 101! would like to lear center point. Its intimidating. Would hate to ruin a good photo. Honestly nothing specific comes to mind...but I always learn something new...or am reminded of some tip I read and forgot about...just keep them coming! You are my daily dose of motivation! Thank you! I have had my Cricut for almost two years, but I don't feel like I'm using all the features to make my life easier. I see someone mentioned multi-cut, I don't even know what that is! Please Help!!! I always learn so much from you...THANKS! I think at this point, I enjoy when you explore carts I already have and show all the extras that are included in them that don't really show in the descriptions. Your creativity is so inspiring. Love the shaped card feature on the HK cart. Is that offerred on any other cart that you know of? TFS such a cute card. There are so many things that i could learn im still a newbie with my cricut. I see so many things besides just papercrafting. Would love to learn more about cutting different materials. Thank you for giving us the chance to win and all of the help and inspiration you provide! I have a cricut, don't use it much cause it still overwhelms me. Maybe go over the basics for newbies. Like the dials (speeds, size of cut). That would be awesome. 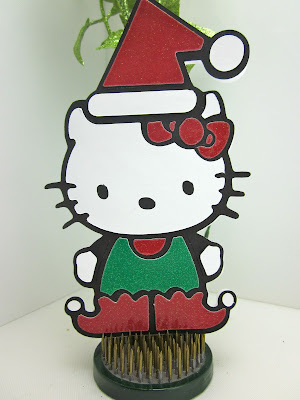 Love the Christmas Hello Kitty, so cute! I really love my cricut but I feel like I don't use it to the best of it's ability. Pointers on multi-cutting may help me. I just got the new Expression 2 and would love to learn more about Center Point or cutting chipboard. Your Hello Kitty card is absolutely adorable! Thanks for the opportunity to win Cherry Limeade ... very cute font! I have had my Cricut for about a year and a half and simply use the basics ...would love to learn any new techniques or tips in utilzing my machine to the fullest ....thanks for much for your ideas , tips and inspiration everyday!. Love the card. I have trouble with the welding. When I flip the image so that it would fold correctly and weld - it cuts two individual pieces. I am about ready to pull my hair out with welding. I have so many ideasbut have to flip the image and there I sit - two images and no card. Help! Joy I would love to learn alot more about my Imagine! I have not had my Imagine that long, so any tips would help! I need to win a new cartridge cause after purchasing the Imagine I won't be purchasing any cartridges soon! I would love to be able to master the center point feature. I love that Hello Kitty card. Another cartridge I keep telling myself I'm going to get. how come I have never seen that xmas elf in that cartridge before? Better check it out and use it this coming holiday! Love this card. Gotta take another look at this cartridge. Just keep posting as I keep learning from you. Love the hello kitty christmas card. I'd love to learn to make home decor items. I love this card. I have this cartridge. I have never used the card feature. I am going to try to make one of the Halloween cards from it! Thanks for the chance to win. Yes I would love all the ideas and learning I can get with the cricut machine.The shadows and other features is what I ned to learn about. Love that new cartridge, I could see using it a lot for my scrapbook pages. I would like to learn how to do layering with different colors. Your card is so cute! I would love this cartridge! I would like to learn more about how to best cut a variety of materials! I love this cartridge; would love the chance to win. That is too cute, I love shaped cards, makes them that more special!! 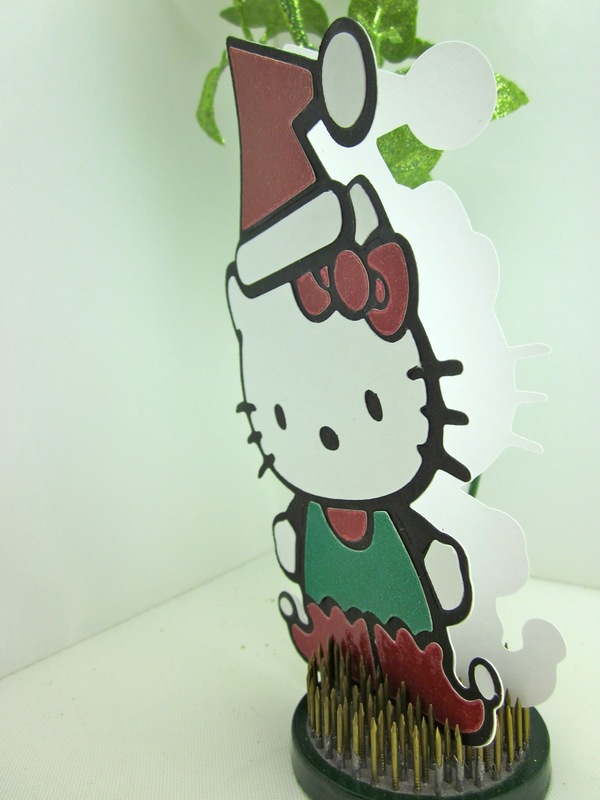 All the Hello Kitty cards I'm seeing lately is making me want that cartridge. My niece LOVES Hello Kitty! May need to put that on my wish list. And the Cherry Limeade cart is so adorable. Thanks for the opportunity to win. Such a cute "Hello Kitty" card! TFS. I would love to learn how to get longer life from my cricut, cutting mats, blades, tools, etc. A lot of us make our own cards not just because we love doing it, but also because we don't want to pay $5-$7 per card in a store - so how can we make this obsession, er hobby, even more affordable? I would love to try vinyl, but am too chicken right now! I'm afraid I'll have the settings wrong and ruin a piece! I'd also like to learn more about shaped cards made from a regular image - not just the card function. thanks!! Love the Hello Kitty card. Thanks for reminding me that this is a real cute cartridge. Sometimes we need little reminders of what we already have but don't use very often. Like Cherry Limeaid. I don't know why I never picked this one up because it looks like it has some nice images on it. Thanks for a chance to win it! I need to work with fabric in my Cricut more-I can never get it to cut right! I love that FONT!! The thing that I think would be very helpful is more information on the gypsy. I never use mind. It makes me sad! So I would love to learn more about my Gypsy. Thanks for all your give aways. I would love to see one of the pop up cartridges used in a video. I've heart that they can be tricky. I would love more info on the Gypsy and more info about the buttons on the expression. I want to use my machine more. Thanks for all the help that you give us here on your blog. Thanks for the giveaways as well. I'm such a novice, especially love the tutorials that can be printed out, and would love to learn more about all the settings in a nutshell to make the most of the carts I have (e.g., welding). Anything cherry and all things lime -- two of my favorite flavors. How this would sparkle up my card making! Thank you for the chance to win. I would love to win this cartridge! !I love this site and would love to learn about centering cuts on my paper. I have a friend who has this cart. It's such a great, and fun, font. I second a lot of the posts in that as a new user, I would like to learn more about some of the settings/buttons such as paper saver (how does it work), center point (where do you find this helps most). Thanks for the chance to win and the wonderful tutorials you have already shared. I mainly use my expression for scrapping, but lately have been wanting to try vinyl for home decor stuff. I would love to know any secret tips. The Hello Kitty card is so sweet. Thanks for the chance to win a cartridge,and thanks for all the great ideas! I often print sentiments on cardstock from the computer/printer. Is there a way to use my Cricut Expression to cut around the sentiment so that it is centered? 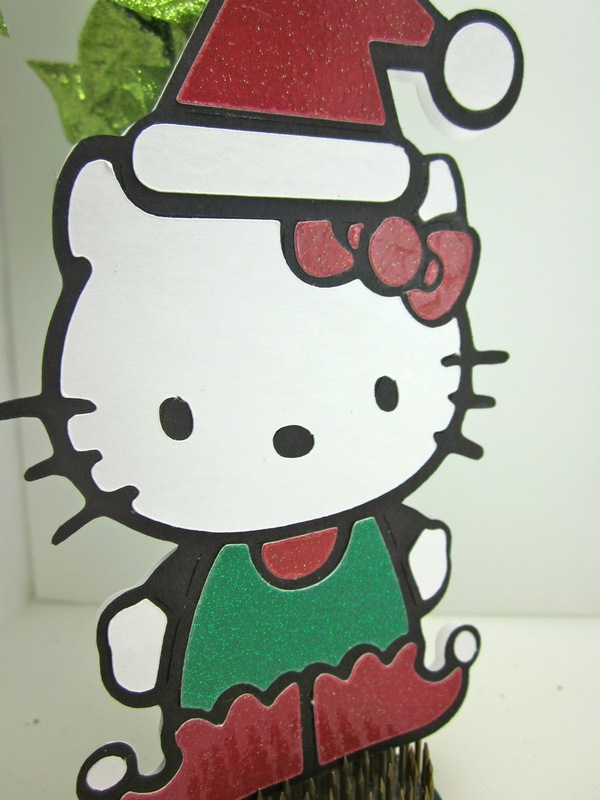 The Hello Kitty Christmas card is soo... cute. Thanks for all the tips that you have posted they have helped me learn how to really get the most out of my cartridges! I love this cartridge...always love alpha's with a shadow!! Any short cut tips would be great. Also anythng to do with vinyl. I know there is so much more I could be doing with my expression. I would like to know the in's and out's so I could create so much more. I am a subscriber to your blog already. I love this cartridge, crossing my fingers. I would like to learn how to use all the cricut features. I would also like to learn how to weld letters and for the layers. I would like to learn how to use the markers. I have the markers but have never had any reason to use them. I'm not sure what to us them for....Please show me! Thanks! The Hello Kitty Card is so cute, I have read Under the Dome by Stephen King, it is a can't put it down book. But I like all of his books. I think I have a good understanding of all the function keys, I just like watching others use them on videos. This cartridge is on my wish list! I absolutely love the font! I have the smaller Cricut, and I would like to know more about if the smaller machine is OK to use when cutting vinyl and or fabric. I am intrigued by many of the projects on this site, but am nervous to try with my smaller machine. I am such a beginner that just about anything would help me. I don't have a lot of cartridges and I just have the personal cutter so I can't go beyond the six inches. So if there is a way to do the 12 inch things in 6 inch sizes I guess that would be the biggest help to me. 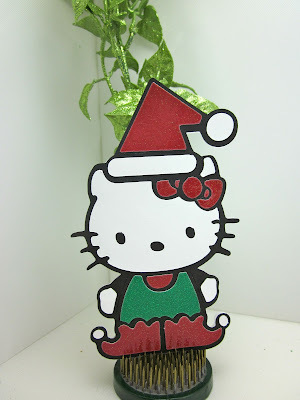 Hello Kitty is so cute dressed for Christmas! I would love to learn more about using the markers and also more about layering. This cart has been on my wish list for a while now. Thanks for the chance to win. Don't laugh but I don't even know how to change my blade! I bought mine a few yrs. ago and don't use it very often. I love this cartridge!! I use my cricut quite often making cards and pages. Thanks for the ideas, and thanks for the chance to win! Love my cricut. I would love to learn to cut fabric and to make stencils to do glass work. That would be fun. Love shaped cards..glad to know the pieces lay down correctly..
Love the Cherry Limeade cart - funky and cute and right up my alley! I would love to learn and see examples of different shadowing/layering techniques with Cricut Expression. I need ideas so my images don't look so one-dimensional. Thanks! Cute Hello Kitty! I have wanted the Cherry Limeade since it came out. I just haven't been able to get my hands on it. crossing my fingers. I love to learn new things about cricut. Anything you teach is great! Thanks for all the ideastoo. I've been following you for over three years and have learned so much. I'm still not sure how to weld though and have never figured out how to center and cut around a photo. Yes,I would like to more about the cricut. There are buttons that I have not even used yet. I like cherrys,so I would like a chance to win this cartridge. I'm always ready to learn more about my cricut. Lately I'm having a hard time with welding and shadows. All I have learned about the Cricut has been thru blogs and Youtube videos. So the more tutorials that are out there then it would help me a lot. I like getting all the layer cuts in one attempt using my Gypsy so if you have a tutorial on how is the best way to do that it would be great. I just gave this great cartridge to my daughter and hated I could not have one for myself! So I think I need to learn to share better with my Cricut! I would love to know how to make envelopes to fit cricut cards. I have the Just Because Cards cartridge and can't get the envelopes to turn out right...arrrgh! I always like when you create projects and provide dimensions for re-creating. I would the Cherry Limeade cartridge. Always appreciate home decor items. I am new to the Cricut and have so much to learn. I've been learning online. It's difficult to say what I still need to learn! I'd say, ways to simplify using the Cricut so newbies don't have to spend hours looking all over the internet to learn how to use it! Welding comes to mind specifically, using Design Studio which I just got. Thanks for all you do. I love this! And I have the Hello Kitty catridge. I will make these for my great-nieces at Christmas. Your card is adorable. I don't have an Imagine yet, but I'm strongly leaning toward it, so I would like to learn more about the Imagine. Thanks for the chance to win this fun cart! I just thought of what I would like to learn more of: when you show a card made with a certain cart, I would love to have you tell us how we can make similar images with other carts we might already own. Hope you enjoyed the rest of your Stephen King book! I would like to learn more about the best ways to care for my cutting mats - washing them? adding adhesive? I've heard many theories. . .
Adorable card! I do not have a Gypsy, but I do have the Design Studio. I'm sure I'm not using it to it's potential. I would love to learn more! I would like to learn more about cutting material other than paper. Actually, ANY tips are always helpful! I forget so much, so a refresher is always good for me! Thanks for all the time you put into this; I am learning so much from your blog! I just learned how to use fit to lenght...So useful, so many features that are not used to potential. Needless to say I learn something new everyday. Love Cherry Limeade, my Walmart doesn't carry it anymore, I kick myself for not getting it sooner. Thanks for all your tips and inspiration! I have not been using my cricut as often as I would like to and a quick refresher or tips for beginners would be really nice. Love the Hello Kitty card it is just too cute! TFS and for the chance to win! Darling Kitty. I'd LOVE to win this cart, thanks for the chance. I have trouble making my own frame in gypsy. I group and weld, but it seems difficult for me to get both shapes to show and cut. Will keep working on it. I love Hello Kitty, so I guess I really need to get this cart! I have the HK Font, but not the Greetings. Very cute card! 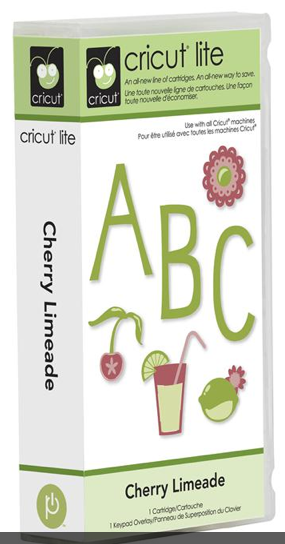 I have had the cricut machine(s) for many years..but tips and tricks can always be learned..I love the cherry limeade cartridge font..would love to win it. I'd love to do some vinyl decorations on our walls but I'm so intimidated - I'd love to see more step by step instructions on how to transfer from mat to transfer tape to wall - maybe a video of you doing it! :) Thanks for the chance to win! I don't have a cricut machine as of yet...but am saving up for one. YES, I want to learn ALL about the Cricut Experience!!! Winning this cartridge would give me that final push to owning a machine...it just looks like a lot of fun is to be had by all that cricut! Thanks for the opportunity to win with cricut! Hi Joy! I recently got a Cricut Expression for my birthday. It was a step up from the personal one and I love it. There is so much to it though, I've barely scratched the surface. I would really love to learn how to layer in order to make such adorable things as your Hello Kitty card. I struggle with how to cut things in order to layer properly. I think I'll be watching some of your videos. Your site is adorable! Thank you so much for putting the info out there. I am constantly amazed at the images NOT used regularly in the CRICUT. I'd like to see the 'not so popular' images used in projects. joconn9567 at gmail dot com. I am new to your blog and have been watching your You Tube videos. Am so excited to learn how to really use my Cricut! Love this new cartridge! I've been a follower for 2 years now and have learned so much from you! I wouldlove to win Cherry Limeade, my WM has been out of it!!! I wuld like to know more about the center point function! Thanks for all you do! I have been a follower of your blog for a long time now. I have learned a lot of things, but I don't know what to do with my Cricut mat to make it sticky again. Do I have to buy a new one or can I put something on it to make it like new again? Love the Cherry Limeade cart and hope to be the owner of it real soon!! I love this hello kitty card. So adorable. Love it. I am having so much fun with my cricut expression! I am making Halloween cards and the haunted house. The Cherry Limeade cartridge would be a welcome addition to my library. I love the font and the images. It is making me think of summer! I'd like to learn more about using vinyl with my new Expression (I just upgraded from my baby bug recently!) Thanks for the chance to win such a cute cartridge! Hope to win! Thanks! Your work is always very pretty!